Peter Young took this photo of the Voxina barge on 21st October 1973. This is the first of four photos which show the handling of drums of concentrated lime juice from the West Indies, which was shipped up the Thames to Brentford. 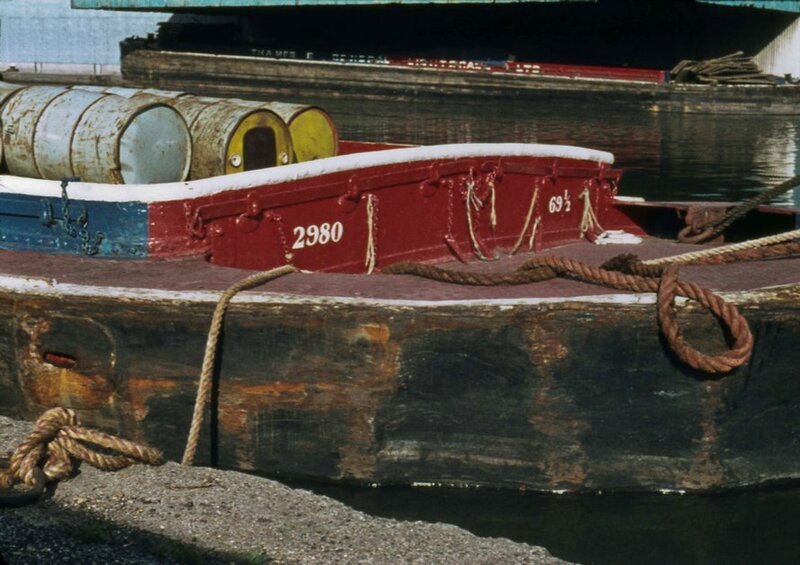 Here it was stacked on the wharf, and then loaded onto narrowboats – Threefellows Carrying – which were tied in parallel. The juice was taken by canal up to Rickmansworth where the Roses Lime Juice factory was (more details) because it was deemed too corrosive to be carried by road. The next two photos were taken two days later and show loading and stacking of the drums.